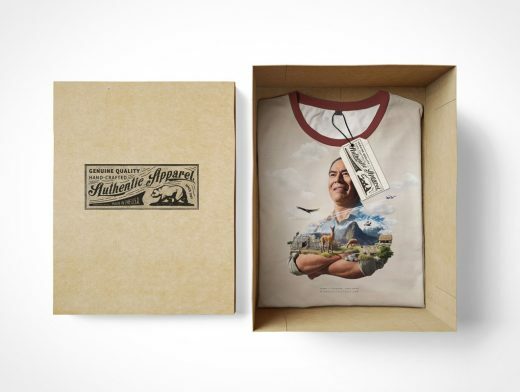 This Photoshop Mockup is the perfect way to present your high-end T-Shirt product line! The PSD Mockup scene offers a shoebox-style cardboard box containing the t-shirt with tag label set clearly over the collar and chest area of the t-shirt. The t-shirt itself is folded into a perfect rectangle and fits snugly inside the base of the box. The box lid sits to the left of the box which casts a long shadow, which is editable on its own Photoshop layer.